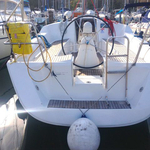 In 2006 has been manufactured sailing boat Dufour 325 Grand Large named Jonathan Blue 1. 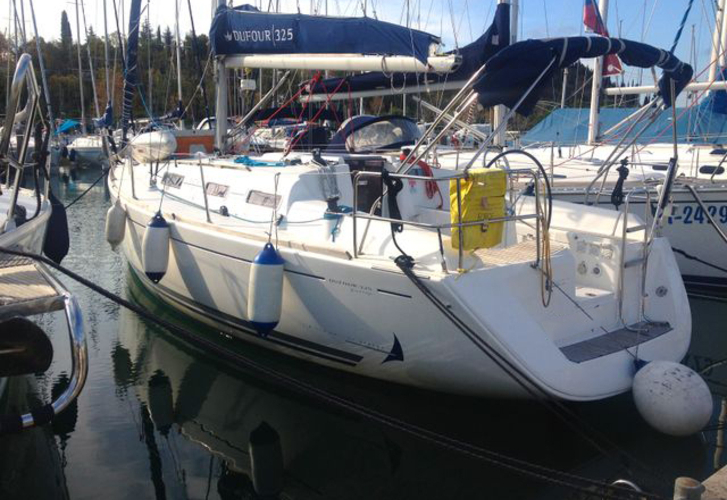 She is available from marina Portorož in region close to Primorska in Slovenia. 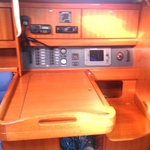 You can accommodate up to 6 crew members on the vessel Jonathan Blue 1. 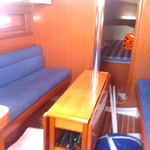 Arrangment of berths is 6 (4+2). 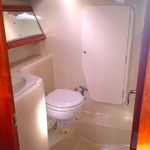 There are 2 cabins located below yacht's deck. Jonathan Blue 1 is equipped with 1 WCs. 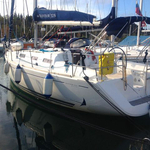 Use this site to find more search results in this site: Yacht charter Primorska. 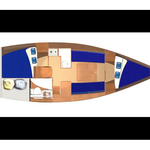 With 10.08 meters of LOA and 3.40 meters of beam Jonathan Blue 1 offers enough space for comfortable sailing. 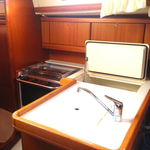 Dufour 325 Grand Large Jonathan Blue 1 is equipped with: Bimini top, Dinghy, Anchor electric windlass, Teak cockpit, Gps plotter, Autopilot, Mainsail with lazy jack, Classic mainsail, Radio cd mp3. . Caution is at the level of 1000.00 EUR. 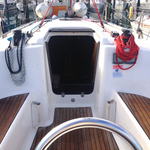 See more boats in this section: Yacht charter Portorož.